An automated trading system, also known as algorithmic trading, is a set of established rules for order entries and exits. After being programmed, those orders are placed and executed automatically by a computer. Such algorithms can be based on simple or more complicated strategies. For automated trading, a system has to use a software linked to a direct access broker, and any rules regarding its operation have to be written in the language of the platform. 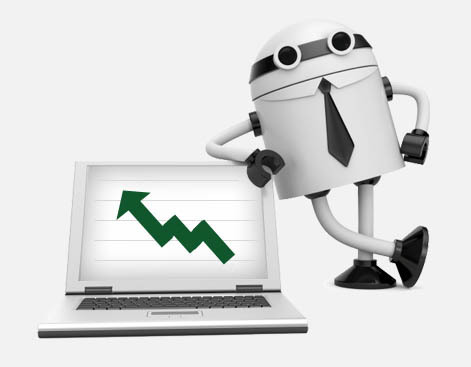 Having been supplied with the algorithm, the computer goes on to monitor markets and finds buy or sell opportunities on the basis of the trading strategy. Most often, when a trade is made, the system automatically generates stop loss and take profit orders. Emotions are avoided, and thus the trading plan is easy to implement. Automatic trading offers the opportunity to test the algorithm on historical data in a demo account, prior to launching into live trading. Back testing is very important because potential errors can be identified without them costing real money. Because of the established trading rules and automated implementation of trading, discipline is observed even in volatile market conditions, and thus emotional factors like fear of losses are avoided. Consistency is achieved by trading the plan, and that is why trading hazards arising from ignoring the rules are avoided. Computers, following the predefined script, immediately respond to changing market conditions generating orders as soon as the trade criteria are met. In automated trading systems late entry or exit from a position is prevented. Users can trade multiple accounts or multiple strategies simultaneously. The risk is therefore spread over different instruments, and at the same time a hedge against losing positions can be utilized. Failures in the internet connection or a discrepancy can occur between the theoretical trade and the platform component that turns that trade into a real one. This can easily result in sizeable losses. Although such trading systems are automated, monitoring cannot be completely excluded, as there is always a hazard of mechanical failures, loss of connectivity, power cuts, computer crashes, etc. Owing to such hazards, orders can be missing or duplicated. When traders strive for over optimization of the strategy, trading plans produced are not reliable in live trading.